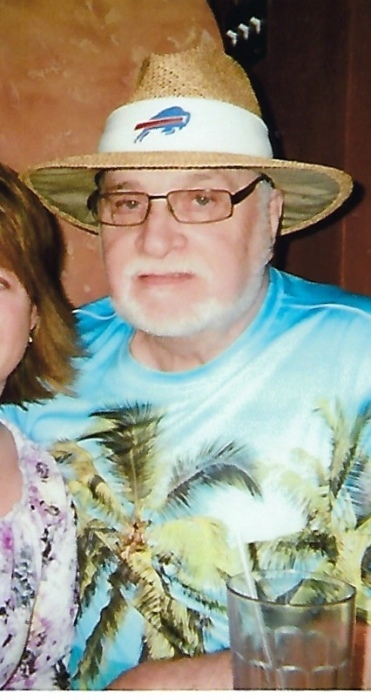 Leon Gerauld Lascelle, 75, of Niagara Falls, NY, passed away on Friday, June 29, 2018 at Our Lady of Peace Nursing Care Residence. Born on September 8, 1942 in Niagara Falls, NY, he was the son of the late Leon A. Lascelle and Hilda (Sedore) Swisher. Leon proudly served in the United States Army National Guard in the M Company 1st Training Regimen and was retired from the Olin Corporation as a cell operator. Leon is survived by children, Liane (Vito) Lascelle-Paoli and Leon R. Lascelle; grandchildren, Lindsey Lascelle, U.S. Navy Hospital Corpsman 2nd Class Ryan Lascelle and Ciara Lascelle; his best friend and twin, Lyle (late Ellen) Lascelle; brother, Don (Hester) Lascelle; several nieces and nephews and his feline companion, Buddy. He was predeceased by brothers, Ed Lascelle and Rich (Betty) Lascelle. If desired, memorial offerings may be made to SPCA of Niagara. Arrangements are under the direction of Michael R. Goodlander of OTTO REDANZ FUNERAL HOME, 2215 MILITARY ROAD, NIAGARA FALLS, NY. Please visit www.goodlandercares.com to leave a note of sympathy for his family.